Mobile Phones Fan: Apple 3D Navigation App Replaces Google? One thing MobilePhonesFan knows about tech: Apple, Inc., makes a lot of money. A big part of why they're so profitable is that they hate paying others to do work they could do as well, in-house. Ok, sure, they'll pay outside vendors to make stuff that could explode. Just about everything else gets done by trusted Apple employees. And then there's Google. 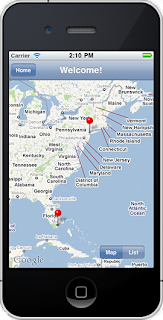 Under a longstanding deal, they work with Apple to produce a custom Google Maps app for iPhone. But for some reason -- arguably, due to Apple's jealous control of the iOS platform -- iPhone has no Google Maps turn-by-turn navigation. Obviously, Google works on that iPhone app for profit. We know Apple does the coding while Google supplies backend stuff like data and APIs. But no matter how they split the work we can be sure Google is making a buck. And the way Apple sees it, that's their money ...paying for healthy snacks in Mountain View. So it should be no surprise that Apple wants their own branded maps & navigation app. Take a look at Cupertino's spending spree on map-tech firms; first came Placebase (2009), then Poly9 (2010) and C3 Technologies (2011). The final two specialize in 3-D mapping. In particular, Sweden's C3 was a leader in the field, employing declassified ('terrestrial guidance') missile technology. Basically, they shoot film from an airplane or helicopter, then render 3D images from that. Their results are impressive. 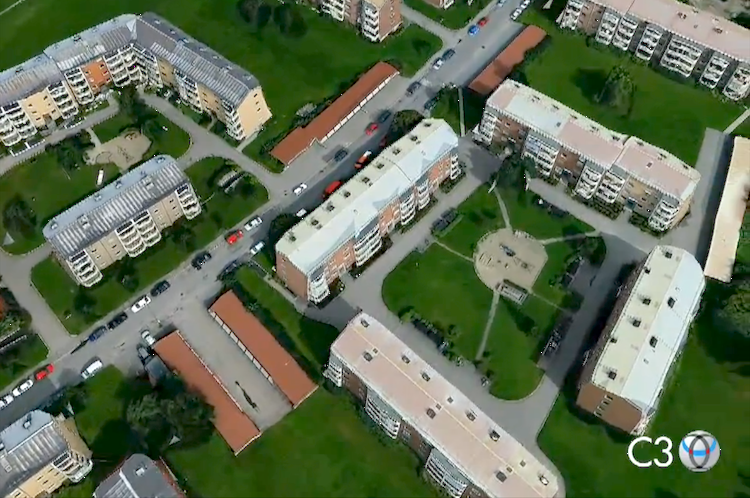 Check out this old C3 sample video, depicting a 'fly-through' of Oslo, Norway*. (Use HD resolution if your connection can handle it.) And remember, you're not watching real aerial camera footage of an actual city -- that's a fully rendered map. 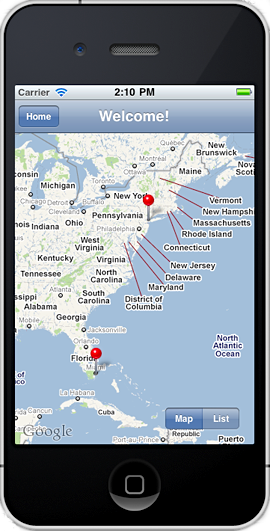 Now imagine having maps of that quality on your iPhone, for free. If the new 3-D Maps application in Apple's iOS 6 is even half as good as we see in this demo, it's going to spell big trouble for independent navigation apps, like ALK Tech's CoPilot and TomTom. Of course, it will also mean less money for Google's snack programs and lots more money staying in Cupertino. When they finally achieve that goal, MobilePhonesFan believes that somewhere, somehow, Steven P. Jobs will smile. And then pat his wallet. * Not sure the how folks in Norway feel about their capital city being used for a guided missile telemetry demo...especially by a Swedish company. But then, what the Norwegians don't know probably won't hurt them. Or not until Sweden gets the bomb. Update (5 June): The Wall Street Journal reports that a reliable source has confirmed this story. Apple's iOS 6 will drop Google Maps as the default map application for iPhone and iPad, replacing it with a new Apple maps & navigation app using their own technology. The source says official news of this change could arrive early as this weekend, during Apple's World Wide Developer's Conference (WWDC) in San Francisco. Meanwhile, Google has announced their own maps-related event -- called The Next Dimension of Google Maps -- to be held on 6 June, five days before WWDC. Advertised as a "behind-the-scenes look at Google Maps", it promises demonstrations of their latest map and location-based solutions. Presumably, these include a new 3D maps & navigation app for Android and iOS devices, to upstage Apple's iOS v6 plans.